Yahoo says its planned sale to Verizon is still happening, but it's going to take a little longer than expected. In its fourth quarters earnings report released today, the ailing tech company said it will be acquired by the telecoms giant in the second financial quarter of this year instead of in the first quarter like previous projected. 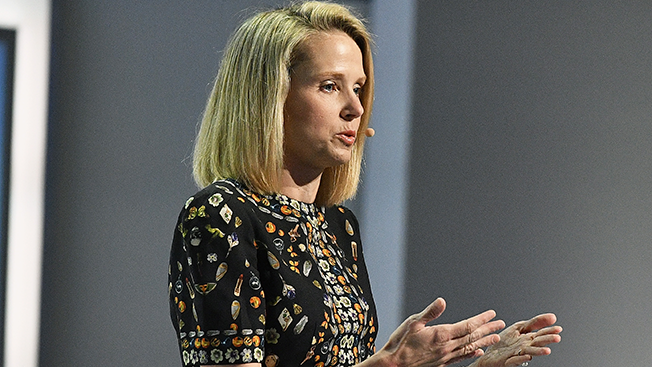 In its earnings statement, Yahoo said it's continuing to work on integrating the two companies and is "working expeditiously" to close the deal, valued at around $4.8 billion. "With our 2016 and Q4 financial results ahead of plan, and the continued stability in our user engagement trends, the opportunities ahead with Verizon look bright," Mayer said. In the fourth quarter of 2016, the company reported revenue of $1.47 billion, up from $1.27 billion in fourth-quarter 2015. Earnings per share were 25 cents, up from 13 cents per share in fourth-quarter 2015. Earnings for all of 2016 were $5.17 billion or 62 cents per share. Earnings in 2015 were $4.97 billion, or 59 cents per share. While mobile revenue has continued to increase, desktop revenue in 2016 fell to $3.46 billion from $3.52 billion in 2015. The company said it now has more than 1 billion total users, with 650 million of those coming from mobile devices. Revenue from search accounted for a larger percentage of overall revenue in 2016 than it did in 2015, growing to 52 percent in fourth-quarter 2016 from 41 percent in fourth-quarter 2015. Display revenue accounted for 39 percent of overall revenue—down from 48 percent in fourth-quarter 2015. The company also continues to struggle with concerns over data security. A report this morning in The Wall Street Journal said the Securities and Exchange Commission is investigating whether Yahoo disclosed massive user data breaches soon enough. (A spokesperson for Yahoo declined comment.) In her earnings statement today, Mayer said the company is making security a "top priority." "With security protocols and password changes in place, approximately 90 percent of our daily active users have already taken or do not need to take remedial action to protect their accounts, and we're aggressively continuing to drive this number up," she said. "Our commitment to our users is unwavering, and we continue to be encouraged by their loyalty to us and their ongoing patronage of our products."